So far my one zucchini plant hasn’t disappointed. We’ve harvested 5 zucchinis so far, and this last one was huge! 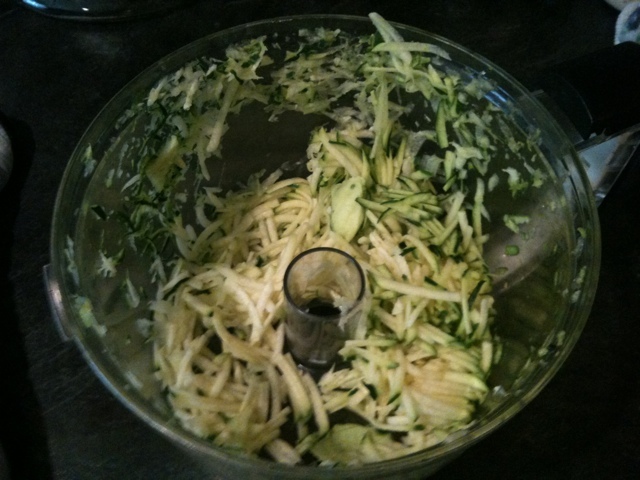 This picture is the shredded zucchini that was left after making the cookies. And I only shredded half of it! I will say that for this recipe the finer the shreds, the better. I couldn’t find the other disc for the food processor though, so mine are pretty thick. I really like these cookies. They are almost more like cake in consistency. See? 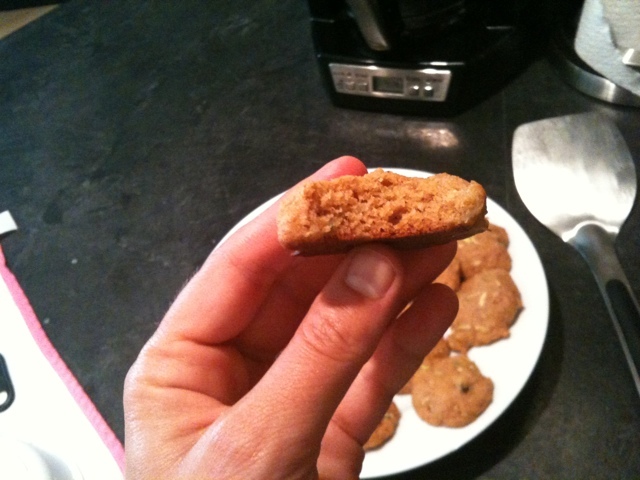 I think because of the consistency, you these would be delicious even without the chocolate chips. Hopefully when my pumpkins are ripe I can try replacing zucchini with pumpkin. That would be delicious too! Combine egg, butter, sugar, honey and vanilla in a big bowl (I use my Kitchen Aid) and mix. Add flour, baking soda, salt, cinnamon, and nutmeg and mix. Fold zucchini shreds and chocolate chips into mixture. 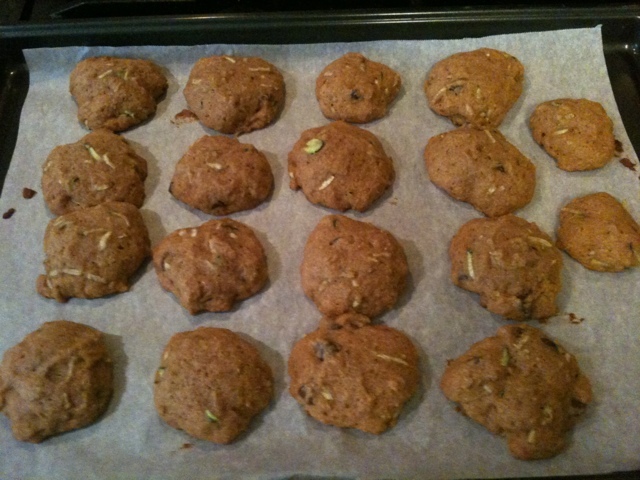 Drop by spoonful onto parchment paper lined baking sheet. Affiliate Links: This post includes affiliate links. I link only to sites that I have used or would use myself. If you purchase something using these link I may receive compensation. These links support the running and costs of hosting the blog. Thanks!